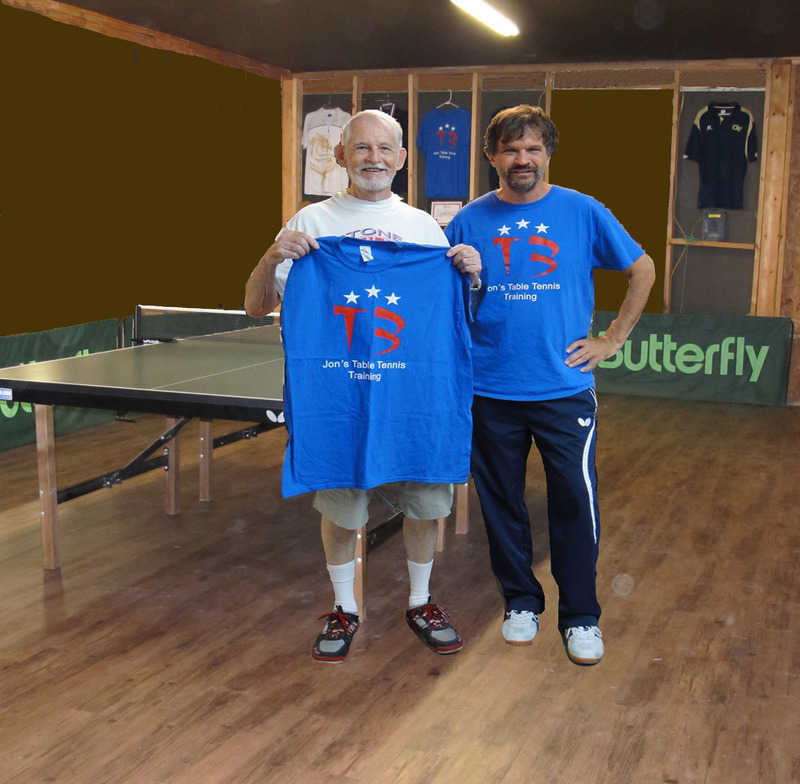 Jon’s Table Tennis Training provides excellent coaching designed for players over 55. Even if you have never played or have not played recently, this program is designed to be both fun and challenging. Table tennis is one of the healthiest activities possible for any age. It has a low risk of injury, while improving players’ flexibility, reaction time, and hand-eye coordination. Table tennis improves balance, thereby lowering the risk of falls. Table tennis does not put excessive stress on your joints. Table tennis is great for improving mental alertness and has been used for preventing and treating Alzheimer’s disease. Different aspects of the game stimulate different parts of the brain. You can play table tennis year-round, day or night. The combination of movement, thinking, and socializing makes table tennis an ideal activity for older adults. We invite you to sign up for private instruction or bring a few friends for a group lesson or mini-tournament. As a senior himself, Jon understands the concerns that older adults may have. He will help you play your best by teaching you the same techniques that professional players use.